Lately, Egypt has been facing the problem of overpopulation in many locations. 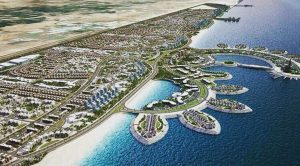 So, the Egyptian government decided to construct a number of new urban communities to alleviate the load on the overcrowded cities. And, that’s when the state announced the birth of the beautiful New Mansoura City. New Mansoura City is situated just 54 km away from old Mansoura City, and it is right next to the touristic city of Gamasa. New Mansoura will be built on an area of 4,000 feddans hosting 1.5 million people. There will also be an electric train connecting the new and old cities together. 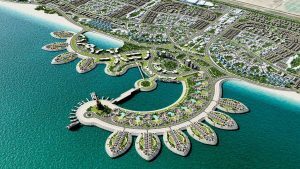 New Mansoura City is planned to be a home for everyone no matter how different their needs are, as it will comprise of tourist villages, affordable housing and luxury homes. The city will have residential units that embrace old Mansoura’s stunning designs and lively colors. New Mansoura City will be an integrated destination including everything a city will need to satisfy and fulfill the desires of its residents and home owners, as it will feature a separate corniche with various entertainment means, a touristic area with hotels that serve medical tourism visitors, an industrial area, a private university along with Mansoura University, research and medical centers and a number of mesmerizing public beaches. 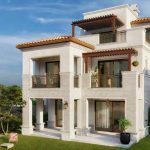 Await the launch of Zahya New Mansoura – the latest residential compound – by City Edge Developments that will decorate the heart of this ravishing city, as it will have studios, apartments, penthouses, twin houses, townhouses and villas up for sale.